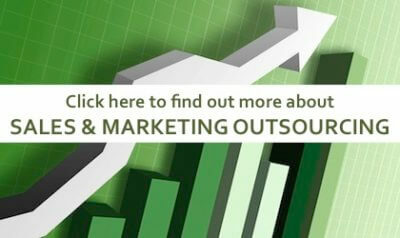 Why would you consider sales and marketing outsourcing and how do you choose who to partner with? Commonly outsourcing professional services is used to gain access and leverage specific skillsets and experience that is not available internally within an organization. Firstly, it is important to consider why you might want to outsource your organisation’s sales and marketing? While there is something of a trend for larger companies to outsource aspects of their operations, it may not be as effective for smaller companies, depending on what the need is. Typically the cost of employment may outweigh the requirement or need for outsourcing. Perhaps it is a resourcing ‘on-tap’ and demand approach that seems appealing without having to go through the traditional recruitment process (with associated fees that typically run between 15-20%), and taking onboard all the risk yourself. Outsourcing is often positioned as a cost reduction strategy, but go through the financial implications carefully with expert guidance as often it can end up costing more. The pure cost, in some cases, can be offset by having access to highly skilled resources on shorter project terms, which can be an investment than an overhead cost – especially when delivering for your end clients which have a direct sales impact. 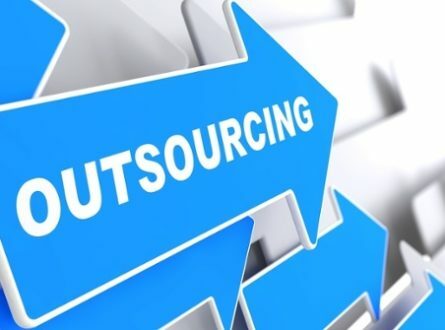 If the need is on a large-scale resource intensive project or an ad hoc piece of work for a period of time that you don’t have the internal resource or talent acquisition skills to deliver, outsourcing may be a good strategy. Often backfilling a sales support, inside sales or marketing manager resource gap can create a large impact on your sales effectivness to execute an annual financial growth plan. Time is money, and in every business the aim is to increase sales revenue and pipeline growth with good cash flow. In this current competitive marketplace and world of disruption, businesses must think of ways to create competitive advantage rather than focusing on price alone, all whilst managing tight budgets. Outcome based selling is what organisations realise is needed to add value to clients. Sales and marketing are the lifeblood of any business and should be considered as a investment with calculated ROI not just seen as a cost of sale but also treated as priority and investment as part of a business growth strategy. It should be considered a tactical or strategic decision and complementary to the business, not as a replacement for internal sales and marketing functions. Every business should be focussing on new business development and ongoing lead generation. Whether for small or larger companies, the challenges are common and outsourcing shouldn’t have a negative connotation but be considered as an alterative strategy to consider where it makes cost/benefit sense at a pivotal time in the market or in the growth plan. In circumstances where additional sales and/or marketing resources are needed with flexibility, outsourcing can be a valid solution to avoid the sunk cost of employment overheads. Outsourcing selected aspects of your sales and marketing may suit smaller businesses who need to be flexible, agile and nimble to maintain competitive advantage and add more value other than being the lowest cost. Smaller businesses need to consider the time to market and sales enablement process and onboarding once the internal recruitment process is completed. There are low risk ways to dip your toes into marketing as a service or sales as a service which is an effective engagement model to selectively utilise which can generate a higher ROI. There is an old definition of insanity if you do the same thing over and over again, you won’t get a different or better result! Outsourcing functions will of course prompt changes in your internal processes but if you do your due diligence and thoroughly address and formally agree on how you manage the relationship, it should contribute to a comfortable transfer of responsibilities. There might be a perceived loss of control, but that is not the case so look at this challenge as an opportunity to manage the relationship and the KPIs and service agreements that come with the arrangement with the partner. Remember a holistic dependency is always on people, processes and systems in any business function like sales and marketing. More importantly from a sales enablement perspective is speeding up the time to market which can make a difference in sales growth potential. Is the engagement based on a traditional resource charge on time and utilization basis or is it a fixed retainer or project-based cost based on defined outcomes and KPI’s? Can you gain access to the resources on a fixed project schedule or is it ad hoc access with no guarantees of availability on demand? Are they dedicated or shared resources? What guarantees and assurances are being offered in the case of non-performance or misrepresentation? How much effort will you need to spend on people or project managing the contracted resources in your organization and project tasks and deliverables? Consideration of marketing and sales outsourcing will make sense to businesses that are open to dynamic business environment changes and willing to invest to grow the business. Where there are specific market opportunities and cash flow challenges to hiring full time employees, or internal politics prevents budgets for headcount for example, you may achieve cost efficiencies and greater sales and marketing productivity by exploring alternative outsourcing arrangements. When the partnerships are appropriately established, outsourcing can reduce costs of approximately 25% -35% over 6 months, along with increasing productivity and continuity, and speed to market as aligned to business revenue goals. If you would like to explore a progressive sales and marketing outsourcing approach which can help accelerate your business and create competitive advantage or improve the process of selecting a partner then feel free to contact us for a obligation free discussion. In the meantime, stay tuned for our next blog article Part 2: How to choose your sales and marketing outsourcing provider.